These Cloths are impregnated with silver to actively destroy bacteria. 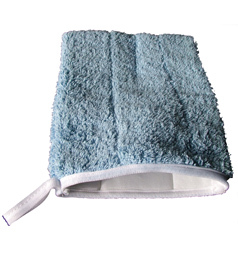 They are designed to remove debris and bacteria in a single wipe. The cloths come in colours for area control standards. Red for washrooms, Blue for general areas, Green for kitchens & Yellow for infection control. 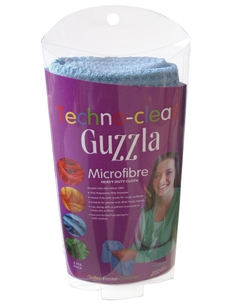 Guzzla is a heavy cloth designed to soak up heavy liquids & water. 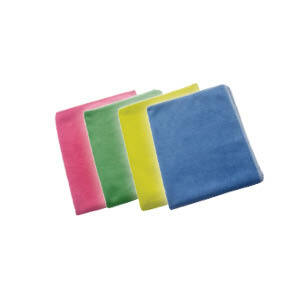 They can be used damp for cleaning any surface, rough or smooth. They too come in colours for area control standards. Red for washrooms, Blue for general areas, Green for kitchens & Yellow for infection control. 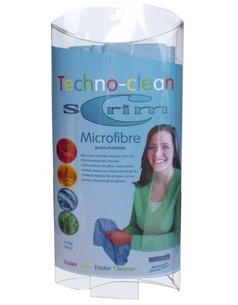 This micro-fibre cloth is lint free and leaves surfaces almost totally dry. It is perfect for glass, mirrors and ceramics. In fact it is fine enough to use for eye glasses. It is 100% endless monofibre. Use this with our Stainless Steel Wipes & Aerosol cleaner to leave a brilliant finish. These mitts are excellent for dusting surfaces or awkward items when dry and are also good for cleaning the dirtiest surface when damp. They are good used with our Vandal Mark Remover.